Achtung! Cthulhu Tactics, an exciting turn-based strategy RPG based on Modiphius’ tabletop RPG and miniature game, infused with H.P. Lovecraft’s’ genius has hit the Nintendo Switch! But what is this game all about, how well does it perform and is it worth your time? Find out in today’s review as I take you through the ins and outs across the battlefields of Second World War Europe. Kindly note that a review code was provided by Ripstone publisher of Achtung! 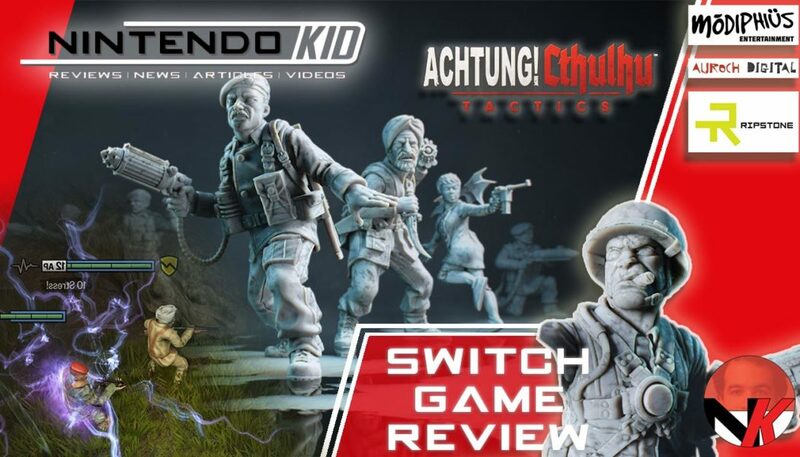 Cthulhu Tactics for the Nintendo Switch.